Those who are diagnosed with fibromyalgia are often told that they should stick to a few rules in order to ensure that this illness does not overtake their lives. Many people complain that fibromyalgia results in not having the freedom to do everything that you once did. This can be true for many people. However, with the proper diet, getting an adequate amount of rest and then exercising, you can maintain a healthy and active lifestyle that is not dominated by feelings of pain and fatigue. When most people think about exercising who suffer with fibromyalgia, it may bring on feelings of doubt and nervousness. You must understand that fibromyalgia patients often feel as though they are exhausted, that they could simply curl up and go to sleep easily. They also feel a ton of pain, so the idea of having to do anything physical can be scary. However, there are several exercises that you can gradually get yourself into. These are going to allow you to start building up your body so you do not suffer from doing too much at once, which is one of the main things that fibromyalgia sufferers complain about. Exercise is often considered one of the first steps in treating fibromyalgia. Due to the pain that many sufferers feel, they often worry that this is going to cause even more pain. However, many studies have been shown that after 12 weeks of moderate exercise, a person will complain of less pain, and overall feel much better. The key is finding the right type of exercise that is going to ease the pain and suffering. 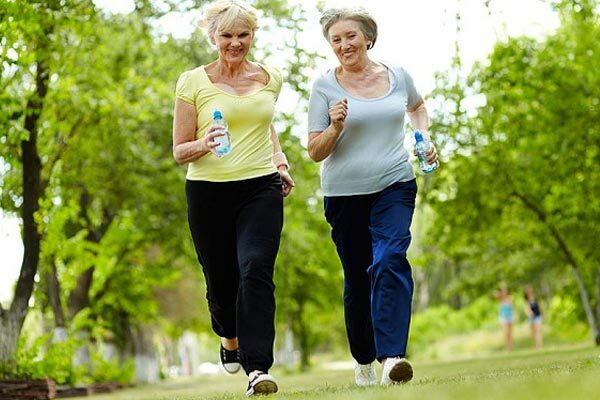 The number one exercise for those who have fibromyalgia is to walk. This is a low impact form of exercise that has been shown to be hugely helpful in dealing with fibromyalgia. Invest into a good pair of walking shoes. Start on a flat service, as you progress you can add in hills and other elements that will make this more challenging. 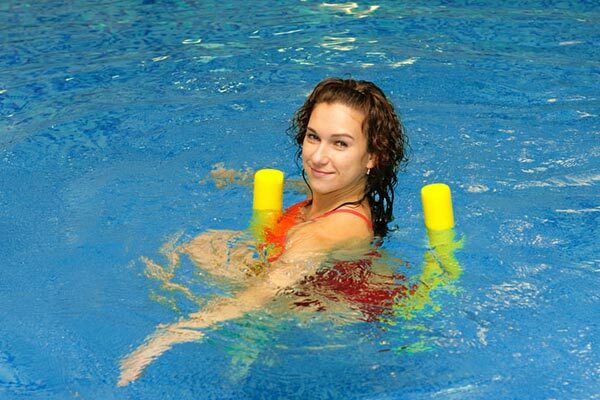 Many fibromyalgia suffers, especially those who have other underlying issues such as arthritis find that exercising in a pool offers huge benefits. Those who exercise in a pool are going to find that it helps relieve the pain in joints that they would otherwise feel on land. If you can utilize a heated pool, this can be even better for your pain. Walking from one side to the other in a pool is going to offer several benefits, and it can be done with ease. It offers the same benefits if you were walking on land. Striating can offer huge benefits and should be combined with whatever exercise program you are doing. Gentle stretching is going to help loosen the muscles and can relieve some of the pain that you are feeling. Strength training should also be included with your exercise regimen. However, it should be considered light. You are not doing these exercises to build muscles, you are wanting to help relieve the pain. Machines that utilize resistance or free weights are appropriate options for strength training with fibromyalgia. You can start with just 10 reputations of one muscle, and then work your way up. Those who do this often find that they see a significant drop in pain, the tender points are relieved and they often see their depression melt away. For those who do not want to go to the gym, house chores do count per most physicians. For example, using the vacuum or even scrubbing the floor for 30 minutes per day has been shown to help those with fibromyalgia. These are activities in which you are being active, thus it does count! If you are doing these activities every day, while it may be hard, continue to do these. After a few weeks of doing this, you are going to feel better than you ever did! A study has found that the use of yoga is a great tool for treating fibromyalgia and other chronic pain syndromes. You will want to practice the Hatha type in which is more gentle and focuses on breathing and meditation. This activity can be great for those who are already in decent shape and need something that is going to help them get more active. Consider a class that is meant for those who suffer with chronic pain syndromes like fibromyalgia. They often arrange these classes to benefit you the most. 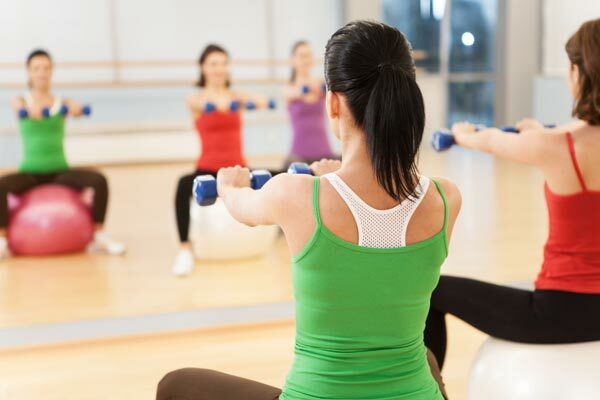 If you have fibromyalgia, it can be difficult to stick with an exercise routine. While it may hurt you at first, you are going to find that if you stick with this, the pain is going to be outweighed by the benefits that you will get from this. It will help to reduce the pain and other issues that you are feeling!